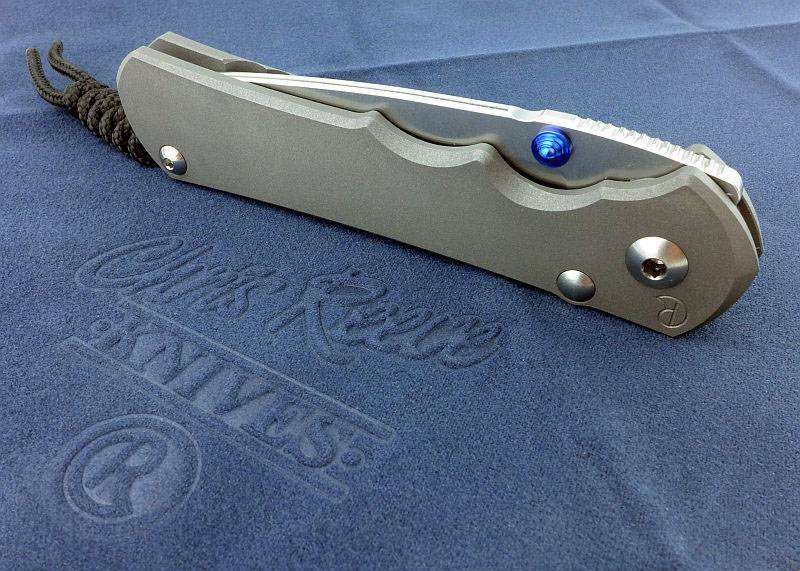 Tactical Reviews is fortunate enough to be able to bring you a quick preview of the new Large Inkosi from Chris Reeve Knives which was launched at BLADE Show 2016. A full review will follow once I’ve been able to test it properly. 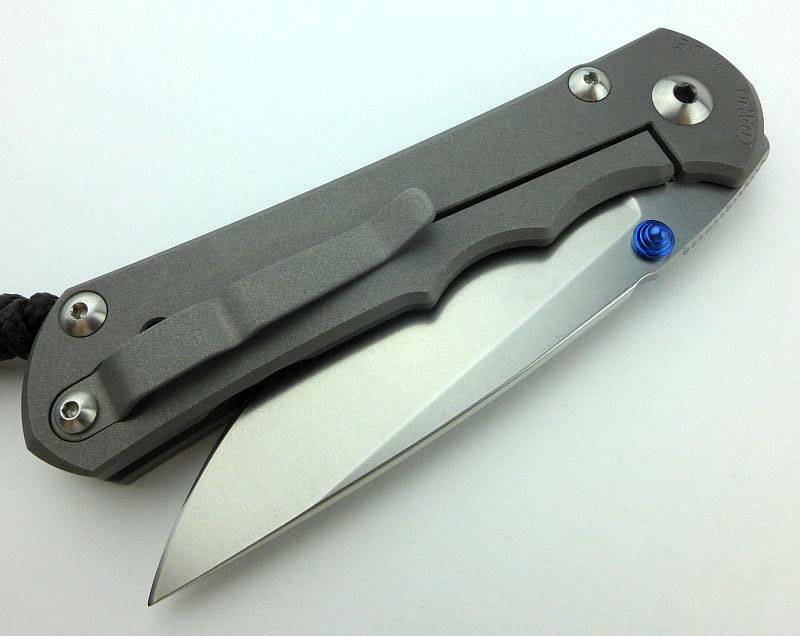 The original Inkosi was designed to include improvements to Chris Reeve’s already tried and tested (and industry changing) Sebenza models. Never one to stand still, Chris knew he could improve on his original design with certain key changes to the pivot, bearing, frame and lock. 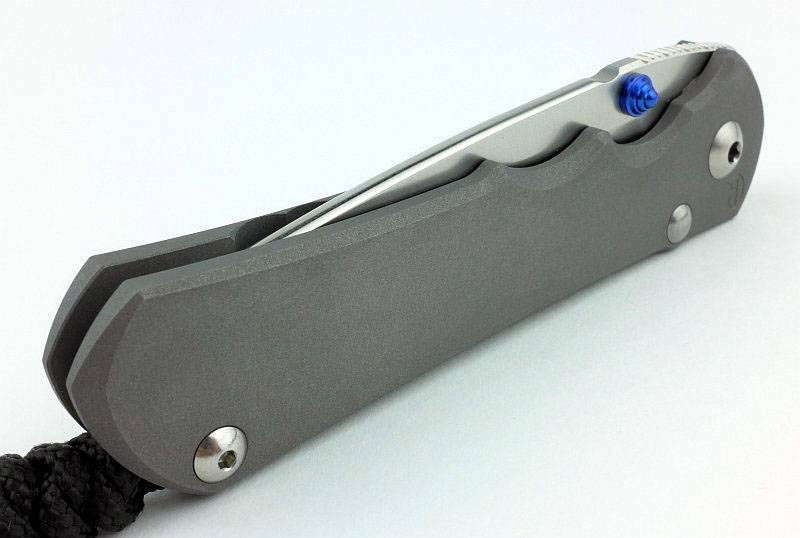 Rather than apply all these changes to the established formula of the Sebenza models, a new line was created to allow these features to be incorporated into the most advanced Chris Reeve folding knife yet. 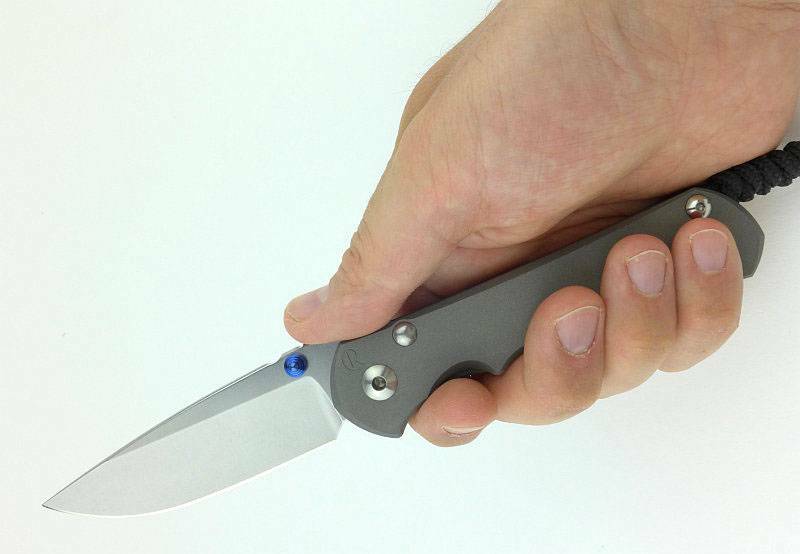 With a trend to smaller more pocketable models, the first Inkosi was created as a compact folding knife, but demand has been strong for a larger version of this knife. 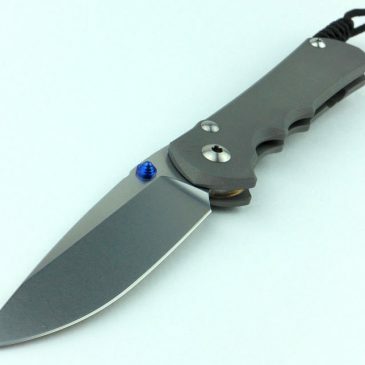 At first the Large Inkosi looks very similar to the Sebenza 25, but we need to look a little closer. Notice that the stop pin as viewed from this side has no bolt head, just a rounded dome. This is actually floating on this side of the fame with a very precise fit to the hole. 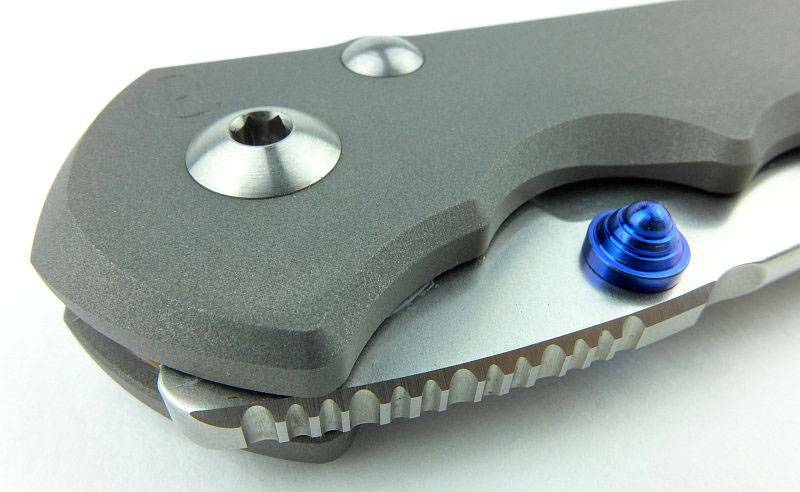 The sharp-eyed will spot the pocket clip sitting differently. 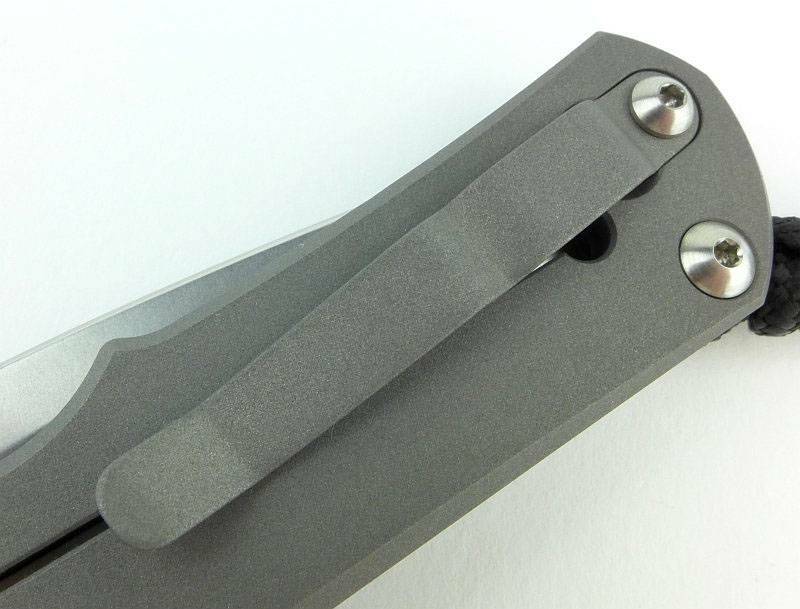 To prevent the pocket clip changing the lock bar tension, it has been angled to sit onto the frame and not push on the lock bar. 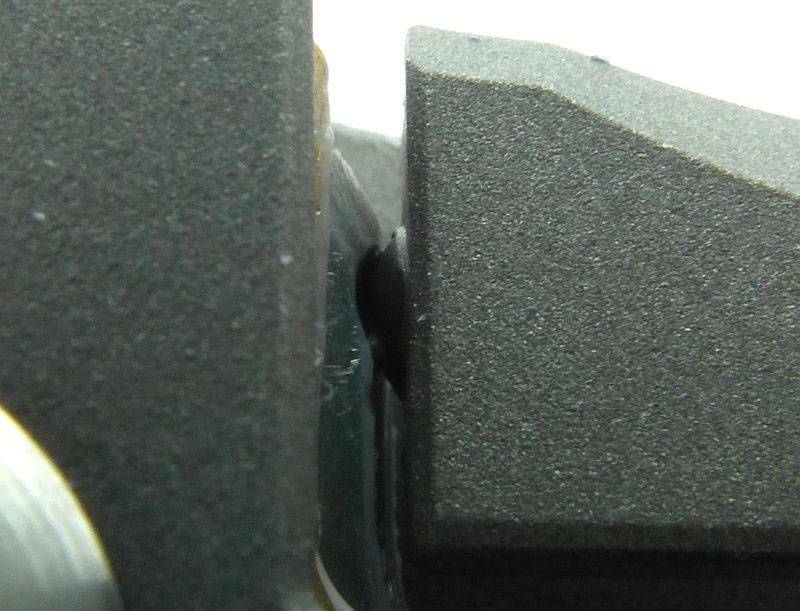 A hint at the extend to which the washer design has been improved with a very large diameter with perforations. The full review will go into this in more detail. 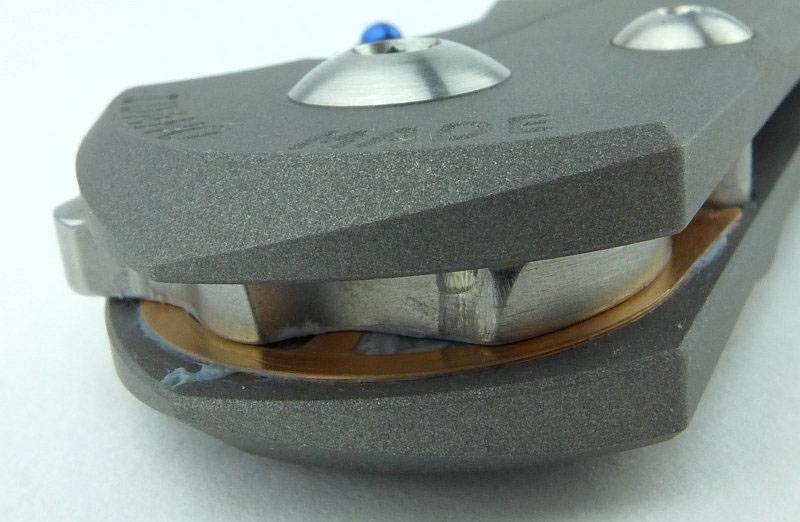 Looking very closely at the lock-bar/blade contact point you can see the ceramic ball sitting into a groove in the blade tang providing positive engagement. 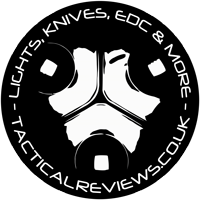 This preview is only intended to give a quick first look at this new knife, and though I’ve not been able to put it to any real use yet, the first impressions are strong. 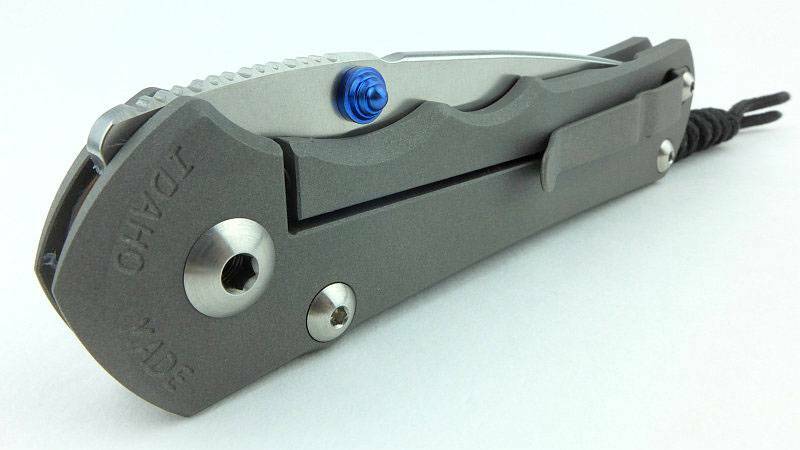 The famed CRK quality and precision are clearly evident, and one of the reasons many owners find it hard to start using and mark these works of art. Though the Inkosi is an excellent and easy to carry knife, living in the UK, I can only carry a lock-knife with ‘good reason’ so when I do, I prefer a larger knife. 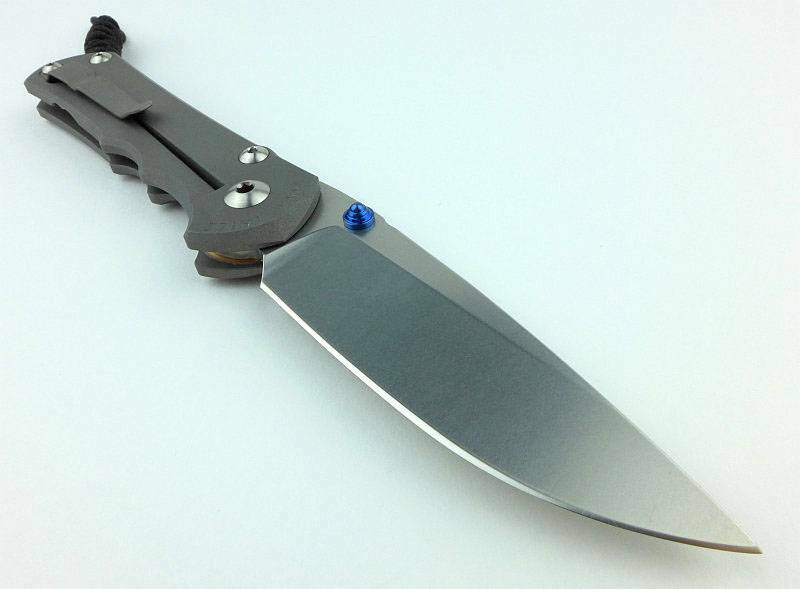 The Large Inkosi is just right. 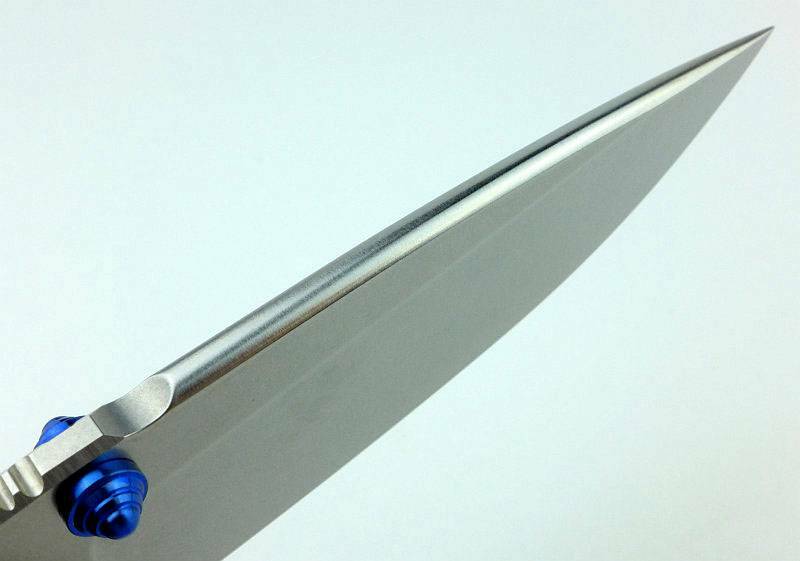 Attention to detail is evident in every aspect of the knife’s design, and every corner and feature has been given a deliberate finish.